The right choice when maximum light and visibility are required. Ideally suited for all residential, commercial, and retail establishments. 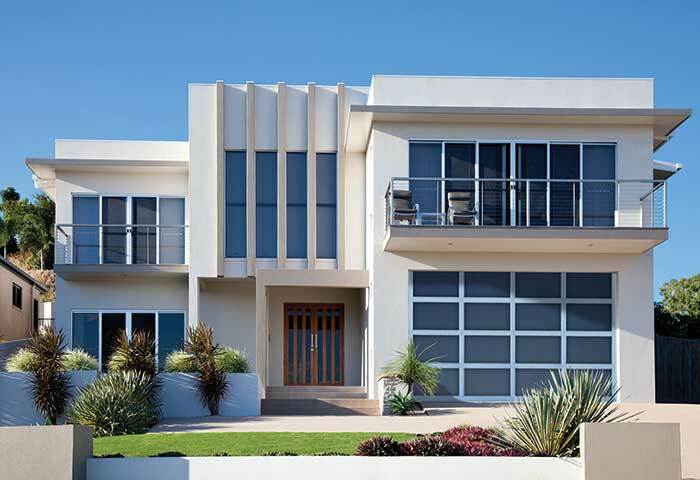 Choose from a variety of glazing options including glass, acrylic, insulated glass or aluminum panels. 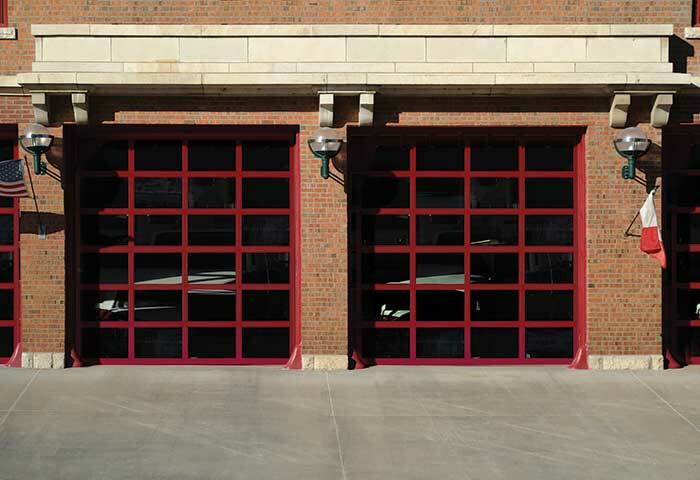 Door sections are 2″ thick and consist of extruded aluminum rails and stiles assembled with 5/16″ threaded rods and nuts. Glazing is sealed on all four sides and retained on all four sides with extruded aluminum snap-in beads. The end stiles have a visible width of 3 3/8″. Center stiles have a visible width of 2 3/4″. Top rail has a visible height of 2 7/8″ or 4 1/4″ depending on door size. Bottom rail has a visible height of 2 7/8″, 4 1/4″ or 7 1/4″ depending on door size and weight. Combined meeting rails have a visible height of 2 1/2″. Lower meeting rail has an integral reinforcing fin on doors over 12′ 2″ wide (Model 8100) or over 10′ 2″ wide (Models 8400 and 8500). All aluminum parts are clear anodized, bronze, white or black powder coated. Powder coated in custom colors available.